According to a study by The Georgetown University Center on Education and the Workforce, 14 million job openings will go to people with associate degrees or occupational certificates through 2018. And 27 percent of people with post-secondary licenses or certificates — which can be earned in even less time than an associate degree — earn more than the average bachelor’s degree recipient. The article shares that employment opportunities for dental assistants are expected to grow much faster than the average for all occupations. And more recently, according to the Bureau of Labor Statistics, demand for this profession is still on the rise. 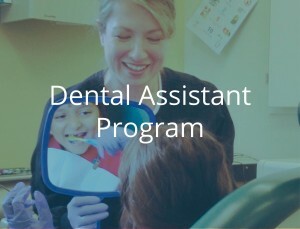 Employment of dental assistants is projected to grow 25% from 2012-2022. If you’re interested in a profession on the rise, consider the Registered Dental Assistant Program at the Interfaith Education Center for Community Dental Care. Applications are currently being accepted for the first class to begin in October. Financing and scholarship information are also available! For all of the details on this exciting new opportunity – click HERE! You can also ‘like’ our Facebook page for the latest updates!